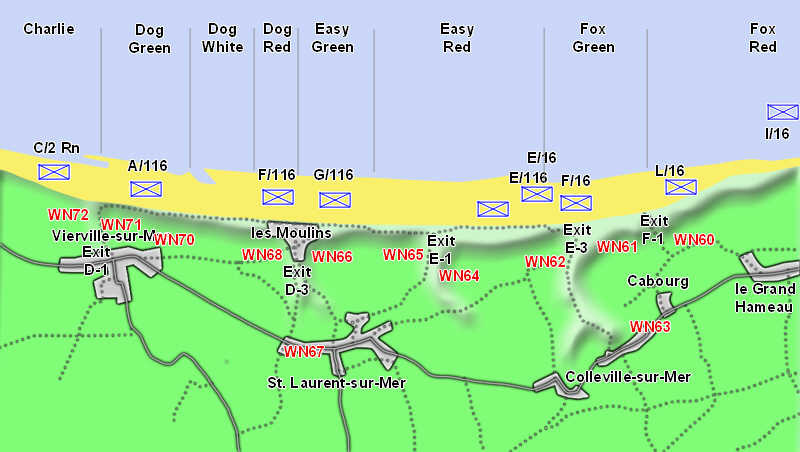 This map shows the locations of the actual landings on Omaha Beach (compare to the planned landing zones). The only companies to land in the correct place were C Company, 2nd Rangers and A and F Companies, 116th Regimental Combat Team. Every other company was swept some way to the east by the rising tide.